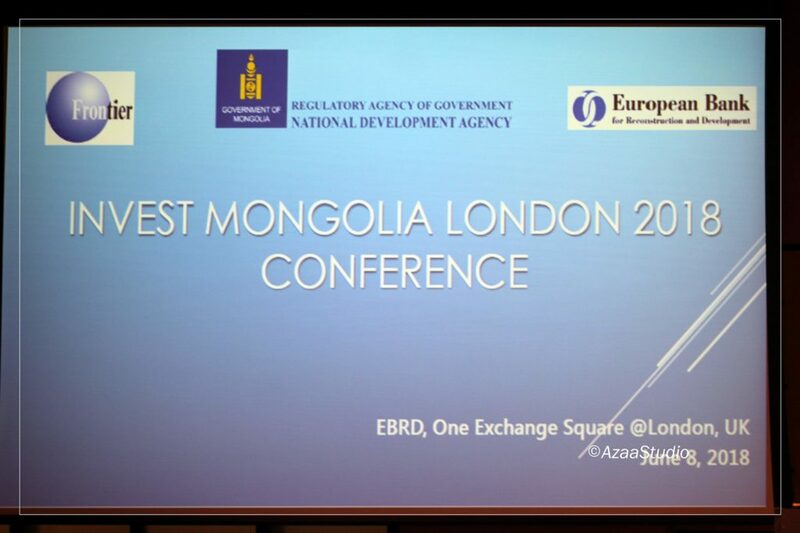 The Invest Mongolia London 2018 Conference held on 8th of June 2018 at the EBRD, which is successfully organized by the National Development Agency, Frontier Securities and the Embassy of Mongolia. The conference gathered over 80 participants including investors and Mongolian delegates. 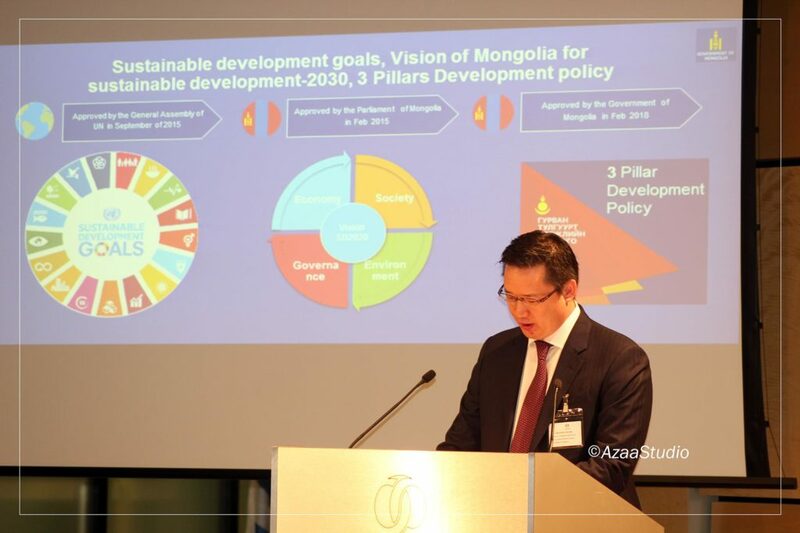 Among the 8 presentations, the speech delivered by the The Chairman of National Development Agency Mr. Bayarsaikhan Banzragch explained the government policy and recent economic progress in Mongolia. He noted that “In 2017, the economy grew by 5.1%, recovering strongly from only 1.2% growth in 2016, total transportation of freight became 53.9 million tons, export has increased, and trade balance has reached by 26% comparing with the previous year, budget deficit decreased by two times compared to 2016, the Foreign Exchange Reserves in Mongolia increased to 1 billion USD from 3 billion USD in 2016. In this result, domestic currency rate became stable and is increasing sustainably”. Moreover, the Director of Integrated Investment Policy department of the National Development Agency Mr. L.Munbat stated that “In 2017, personal savings at the banks has increased by 2.5 trillion tugriks comparing with the previous year. One of the economic pillars is FDI. In 2016, we have registered 2.3 billion USD as FDI. It shows that FDI has increased by 54% compared with previous year. It means investors’ confidence and trust is recovering more and more”. “As a part of reform process, the Government of Mongolia established “Investment Protection Council” in 2016 by the decree of the Prime Minister of Mongolia. The functions of the council include protection of legitimate rights of investors, swift address of petitions and grievances related to government authorities and measures to reduce imminent risks pertaining investors”. 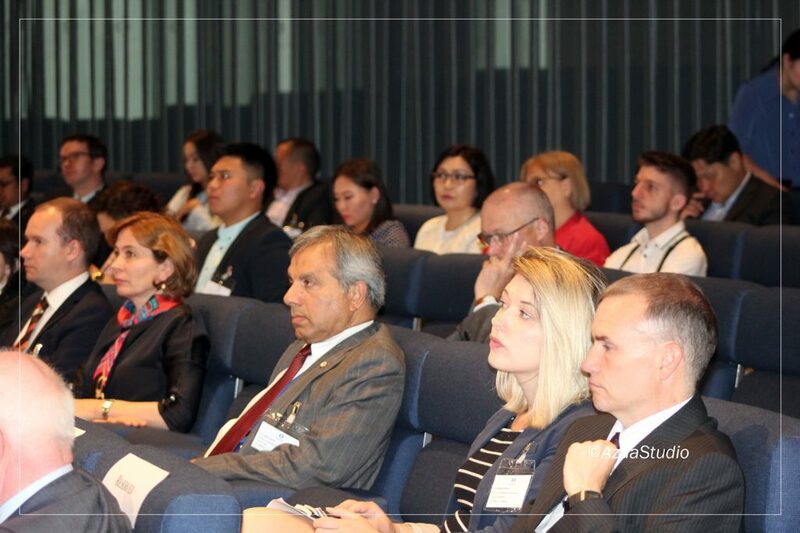 A part of the Conference, the panel discussions touched upon issues, such as, the economic outlook-What does consensus forecast say; UK and Mongolia; The risks and the opportunities for UK investors to invest/trade in Mongolia; The opportunities for Mongolian companies to dual list or issue DR at London Stock Exchange; and the Growth strategies for non-mining sector. The Conference participants underlined the importance of sustaining investment and emphasised the importance of using the investment effectively while protecting the investors’ interests within the legal frameworks.